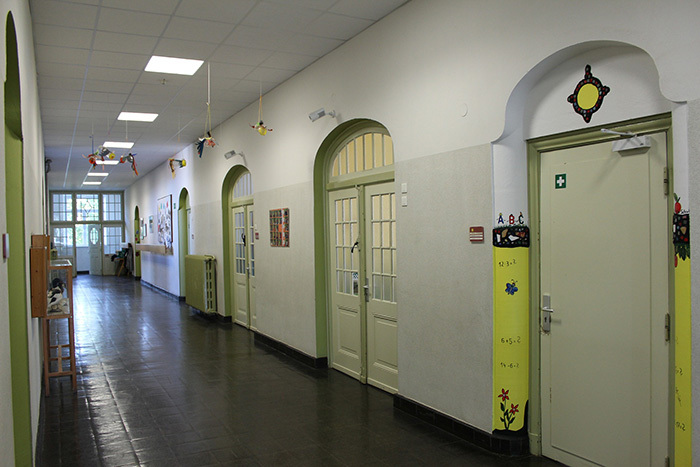 School flooring ranges from classrooms and corridors for kindergarten children, right up to high school and college buildings for 16 to 18-year-olds. For the youngest pupils, poured resin provides a very smooth, flat surface that is completely seamless, and this means there is less risk of a trip or fall among toddler-aged children during their first days at school. As pupils get older, resin is still a great option for school flooring, as they are hard wearing and very easy to keep clean. Resin can be used for car parking space and other outdoor areas like recreation yards – and can be used across the threshold from outdoors to inside, making it easy for pupils or staff with mobility impairments to access the building safely. With the option to add colour, graphics and text either embedded into the resin or afterwards with epoxy paints, there are plenty of possibilities to make sure your new school industrial flooring fits your branding, as well as highlighting any no-go areas for visitors. Quick and clean installation gives you usable space faster. Versatile resin can be used outdoors and inside for classrooms, corridors and PE changing rooms. Drainage and gently sloped floors cater for shower rooms and other wet areas. Textured top surface can enhance grip outdoors or anywhere you want to prevent slips. We know schools run to a strict schedule and that it would not be convenient to have your buildings out of service during term time. As such, Thelwell Flooring work hard to accommodate school flooring installations at a suitable time, often during the summer holidays. Thanks to the fast drying speed of the poured resin we use, it may be possible to install new school surfaces at other times of year with minimal disruption to your premises. We also provide surface preparation services, to clean the floor’s current surface and remove any debris, so that the new resin layer will adhere as strongly as possible and therefore last for longer in good condition.